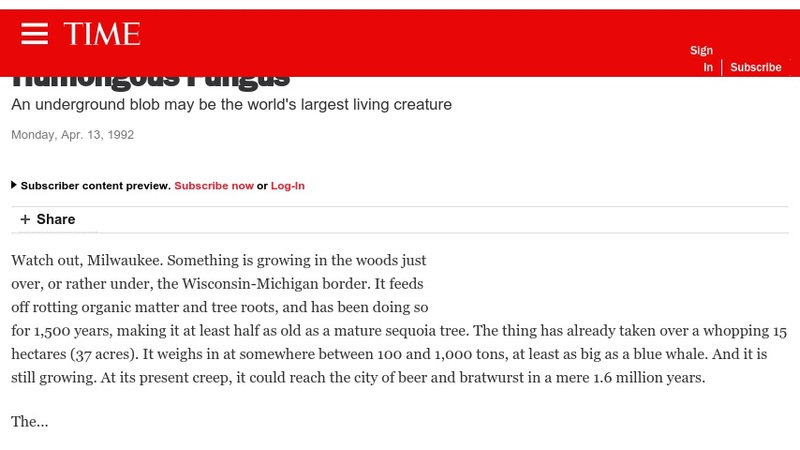 This 1992 online news article reports a 37acre fungus that has been discovered at the Wisconsin-Michigan border. It is 1500 years old, weighs between 100 and 1000 tons, and is still spreading. The article discusses the use of DNA analysis to identify individual organisms. A subscription to Time Magazine is required to view the full-text article.